Looking for a venue for your next corporate event in the Square Mile? 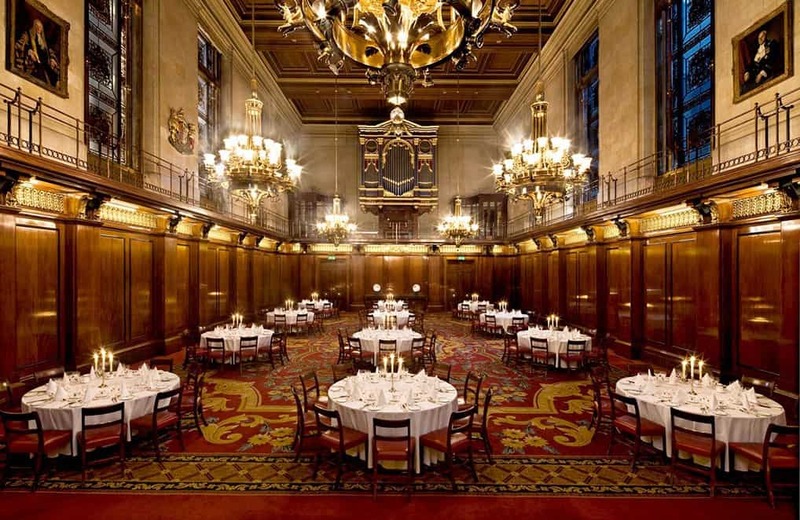 The City's historic livery halls can host your office gatherings, conferences and Christmas parties in style. Life in the City is all about making the right impression. Where we dine, who we socialise with, what label we wear; all of it adds to our status within the Square Mile. Now more than ever a reputation for quality is sought across all aspects of corporate operations, from the coffee served up in the reception foyer to the leather stitched into the chairs in the boardroom. Those at the City’s top table demand the very best, and that is a mantra HR departments have come to honour – especially when it comes to rallying the troops for a staff party. Not only do office soirees reward employees for their hard work, they also supply ammunition for showing off at coffee meetings and lunch dates. The chance to further a company’s reputation by sending staff home plied with wine and good memories is priceless PR. After all, who better to run the rule over a City giant than the people who keep it standing tall? Fortunately, the Square Mile’s livery companies, themselves pillars of the City and contributors to the community’s reputation as a whole, are blessed with incredible halls in which to lavish praise and good times on deserving staff. Be it a wedding, fashion show or conference, there isn’t an event that some of these halls can’t handle. 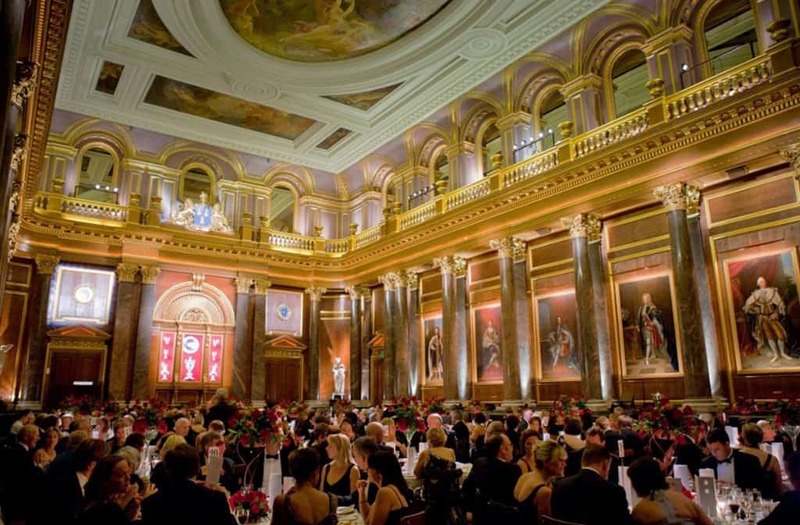 Here is our list of the most dazzling livery company halls available for hire this winter. Plaisterers’ Hall was built in the 1970s so it boasts all modern conveniences. When it comes to dynamism, the custodians of Plaisterers’ Hall have it in spades. The City is home to an eclectic population of cultures, traditions, trends and tastes from all corners of the globe, and the Worshipful Company of Plaisterers prides itself on welcoming everyone who calls the Square Mile home to its regal hall. The only real criteria asked of the hosts is the desire to party the night away and have a good time. Indeed, the hall is specifically marketed as an ideal setting for Asian, Jewish and African weddings alongside lavish corporate events, Christmas soirees, and once-in-a-lifetime bashes. Not to exclude any part of the market, the hall boasts all the luxury and ambience of a prestigious venue with the technical facilities of a modern space – each room comes complete with its own in-built lighting and sound system – ensuring conferences, fashion shows, photoshoots and exhibitions are frequently penned into its chocka calendar. The elegant hall – the biggest in the Square Mile – is destined to impress with its corniced ceilings hanging with the finest gold chandeliers and floor length windows. Set within One London Wall, designed by Foster & Partners, it backs on to part of the original third-century London Wall, and comes complete with original detailing and exquisite features of the Georgian period despite only being built in the 1970s. “It is a grand space, but also very practical,” explained Nigel. “It means we can facilitate not only lunches and dinners but also conferences and receptions. The adjoining rooms, meanwhile, are equally as fine, and provide ideal additional spaces for large parties or ceremony events, or, as individual spaces for smaller business meetings or intimate dinners. AXA and JP Morgan are among its clientele, so what is it that makes the hall stand out from the rest? Well, it could be that Plaisterers’ Hall boasts a state of the art kitchens ideal for event catering. Award-winning in-house caterers Create produce innovative fresh and seasonal menus to suit every occasion, from canapé and bowl food menus for drinks receptions and parties, food stalls for networking events, seated dinners for formal celebrations and, of course, the most indulgent of wedding breakfasts. Head chef Elaine Cooper can also provide bespoke menus to suit one-of-a-kind briefs. With Bank, Barbican and Liverpool Street stations all within 10-minutes’ walk, the venue also offers an unrivalled location with a variety of different transport options. Nigel insists that the Plaisterers’ social remit is also a driving force in the popularity of the hall. 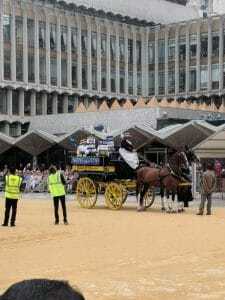 “It is a good space to help other organisations maximise the benefits of being in the City for an event, particularly with charities looking to create and interface with the commercial side of the City. “We’ve hosted a number of serious fundraisers over the years and very much like to be able to help organisations of all sizes achieve that. Variety is certainly the spice of life at the Plaisterers, and Nigel is proud to say that the enthusiasm of his team carries across all manner of event, from great to slightly smaller. “Because of our size there is no type of event we can’t do. We love to be able to give brides and grooms a wonderful wedding day. “We have a wedding license so they can get married right here, but we also cater to those getting married in one of the many beautiful City churches – my own daughter did just that actually. While broken promises are often an undesirable trait of life in the City, Nigel has no doubt his commitment to bowl over guests will ring true. “The usual words I get when people walk in is ‘wow’ and we love giving that to people. We pride ourselves on being one of the foremost event venues in the City, as well as the diversity of events we can cater for. Mercers’ Hall on Ironmonger Lane can seat 156 dinner guests making it a popular venue for larger sit-down events. Six event spaces across three floors help give the impression of a labyrinth of antiquity at Mercers’ Hall; a lavish space adorned with relics of a different time. Whichever room you choose to pop the Champagne in, rest assured it will be in the confines of one of the City’s grandest institutions. Be it the glittering chandeliers, stained glass windows, expertly crafted busts, or period architecture, Mercers’ Hall is not short of conversation starters and backdrops for that perfect Polaroid. 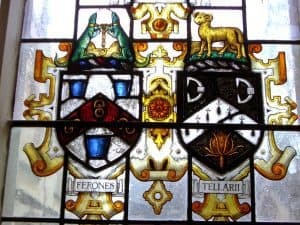 The Mercers rank first in the order of precedents that lists the City’s 110 livery companies, and they take their position as premier livery seriously. Their hall can host sumptuous dinners for 156 people or luxurious receptions for 225; each leaving revellers with a feeling of grandeur at carriages. Positioned at the junction of Foster Lane and Gresham Street, the Goldsmiths have dubbed their hall one of London’s hidden treasures. Since opening in 1835 the hall has bordered on grandiose, such is the extravagance of an interior lined with marble staircases and fireplaces, and lashings of gold in every nook and cranny. The hall narrowly escaped complete destruction in 1941 when a German bomb exploded inside the south-west corner. But, faithfully restored on the exterior after the war and internally modified, it retains much of the charm of an urban palazzo. Opulent though it may be – the livery hall proper is home to Corinthian columns of scagliola and a richly decorated moulded ceiling in gold leaf – the hall is no stranger to a good party. The Goldsmiths can host 232 for dinner or more than double that for a reception, just don’t try pinching any of the silverware. Founded in 1322 to oversee the production of armour, it is little wonder the Armourers & Brasiers’ Company now boasts a gleaming hall to match its wares. Recently refurbished, the hall has some of the most magnificent and elegant rooms available for hire in London, each one packed with historical interest, providing a perfect backdrop to staff party conversation. The skill of the Armourers is plain to see upon arrival and a consistent theme throughout the Coleman Street venue; the striking interior featuring 16th and 17th-century weapons and paintings alongside full suits of armour that once belonged to medieval warriors. But don’t get any bright ideas of drawing a long sword down from above the fireplace and skewering your boss because she didn’t give you that pay rise. Drapers Hall in Throgmorton Avenue. A magnificent and accommodating location full of character, charm and rich history that will leave a lasting impression on guests, and it is no secret why. Given the Drapers’ Company was the original authority on cloths and textiles, it was always going to transpire that an eye for design and quality would be cast over the hall. 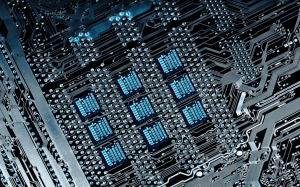 While it is no longer involved in the trade, the company has evolved, acquiring a new relevance. Its main role today is to be the trustee of the charities that have been left in its care over the centuries. The Drapers also manage a thriving hospitality business, meaning you are in safe hands should HR decide to splurge on a night in Throgmorton Avenue. 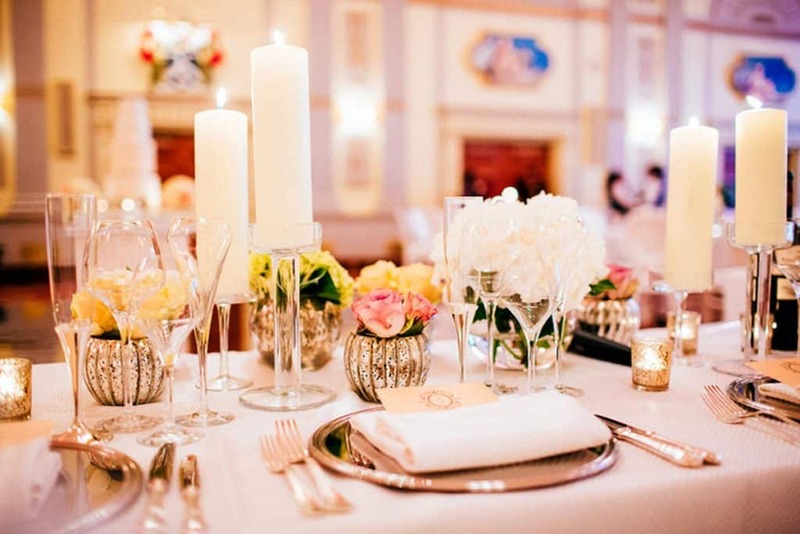 Drapers’ Hall can seat 276 dining guests and comfortably cater for 700 for a reception party, making it one of the biggest venues in the City for a luxury bash, conference, fashion shoot or wedding. 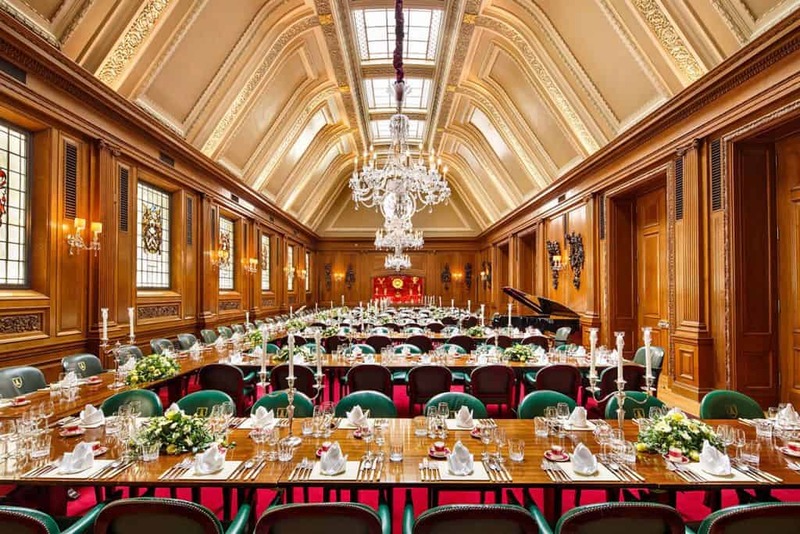 “Whatever the occasion, at Merchant Taylors’ Hall you can be sure it will be remembered with pleasure for years to come,” says the livery company. 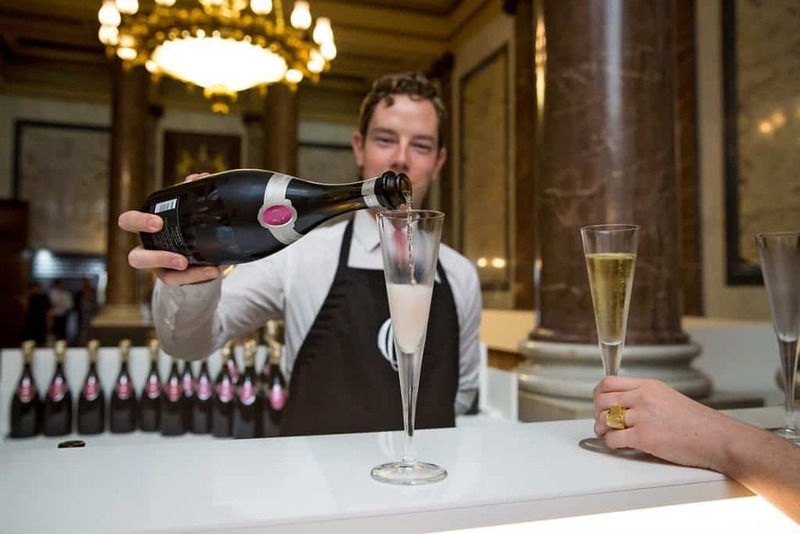 A bold statement, but after 650 years on the same site – albeit with a rebuild following the Great Fire of 1666 and another after a blaze in 1940 – the Merchant Taylors have picked up a few tricks to keep the good times, and the bubbly, flowing. The courtyard is a delight in fine weather, though probably not ideal in the colder months, but as one of the Great Twelve Livery Companies, the Merchant Taylors are not short of jaw-dropping scenes back in the warm. Even after the adversity of a double fire, the inside of 30 Threadneedle Street boasts 13m high ceilings, 3m tall windows, Chinese silk wallpaper, and stunning chandeliers. With room for up to 280 diners, the only obstacle will be keeping your eyes on your plate and not the decor. Completed in 1673, the suite of three impressive and inter-linking rooms, combined with a large secluded garden, makes this hall well equipped for a wide range of events. The Court Room is a wonderfully bright room, richly carpeted and, with Rococo ornamentation in gold adorning the walls, this room has an air of sumptuous extravagance. The main attraction, however, steals the headlines. The main hall, with gleaming oak flooring, carved oak panelling, floodlit stained glass windows, and permitted use of candles lends a warm atmospheric backdrop to any memorable occasion. The hall is one of the largest of its kind in the City – seating up to 150 guests on round tables or up to 200 using long tables – and also boasts a Minstrels’ Gallery for up to 20 musicians.